On March 9, 1895 Evgeny Volkov, manager of the Educational Department of the Ministry of Railways, signed a letter addressed to the governor-general of the Maritime Territory P. F. Unterberger. He asked for help and assistance in opening the Railways College in the city of Khabarovsk. The need for such an educational institution was obvious for highly qualified railwaymen were demanded for the construction of the Siberian Railway. The public were delighted with the news about the opening of the Railways College. On March 16, 1895 a special session of municipal Duma was held, where the decision that the building of such a vocational technical school was very important and demanded, was accepted by a unanimous vote. 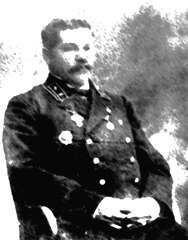 Nikolay N. Okulov, a 35 year-old graduate of Moscow Imperial Technical College became the first principle of the Railways College. He was entrusted with a very difficult task of establishing this educational institution. Being an enthusiastic and responsible person, he actively got to this business. The opening ceremony of the college took place on October 6, 1895. A lot of guests were invited and even the lieutenant-general Nikolay I. Grodekov, at that time head of the Priamurye Territory, took part in it. At first the teaching staff of the College wasn’t very numerous: only 7 people, including the doctor, worked there. The number of first-year students wasn’t big either. 16 young men at the age of 14-17 became the first students of the college. An important event took place in September 1896, when the Minister of Railways visited the college in the course of his business trip to the Ussury Railway, which was under construction at that time. The Railways College was an open educational institution. It aimed at training qualified technicians such as roadmasters, engineers or telegraph workers for the railroad traffic department. The course of studies included 3 years of majoring in theoretical subjects and 2 years of practical training. Students who passed all exams successfully and got certificates had a much better chance of getting jobs of junior mechanics than those who didn’t have such certificates. The curriculum as well as the syllabus was approved by the Minister of Railways. They included the study of the following subjects: arithmetic, geometry and geodetic surveying, physics and telegraphy, the basis of general mechanics, applied mechanics, railway engineering, work with the slide-rule and Russian abacus, book-keeping, wood and metal processing, calligraphy, different types of drawing, joinery, locksmith’s and blacksmith’s trades, singing and gymnastics, summer practical training in carpentry, construction skills, geodetic surveying and repairing of railroad tracks, telegraphing and so on. Only Russian citizens at the age of 14-18 could enter the Railways College. They had to present to the Admission board 2-year rural, municipal or parish vocational schools certificates and to pass the exams in the Russian language and arithmetic within the framework of the curriculum, approved by the Ministry of Education. The student’s fee was 10 rubles a year. It was divided into two parts and paid in advance. They also had to pay for living in the hostel. The rent depended on current prices for food in Khabarovsk. On June 22, 1897 the procedure of laying the foundation stone of a new building of the Railways College took place on the land, granted by the Khabarovsk Duma. A lot of guests of high rank participated in the ceremony. The governor-general of the Priamurye Sergey M. Duhovskoy, his assistant Nikolay I. Grodekov and the manager of number nine construction sight of the North-Ussury Railway Nikolay F. Dormidontov laid the first foundation stone into the basis of the building. When the college moved into its new building educational and living conditions for the students improved considerably. A one-storeyed building of the hostel was built in the college yard. There was a cook in the hostel, who served students’ dinners (which consisted of two courses), students’ suppers (which contained one course), and tea with white bread (served 3 times a day). Students could wash themselves in a bath-house every day. That was free as well as the clean bed linen, which was given to them every week. It should be noted that much attention was paid to the content of the curriculum and all syllabus. Special classes in modeling and handbook compiling were organized for students, so that they could get more profound knowledge in major subjects. The best works were kept in the Museum of Teaching Aids, which was founded on the money, donated by the Eastern-Amur Road and the saw mill. It is also important to mention that the Priamurye is situated rather far from the central parts of Russia. At those times it was a developing territory. The opening of the Railways College in Khabarovsk was a very important event, as the Trance-Siberian Railway was being constructed in the region and a lot of skilled railwaymen were demanded. At first the college could teach only a limited number of students, but by the year of 1917 it had prepared 398 professionally qualified specialists. The management of the college paid much attention to the quality of education, that’s why only highly qualified professionals worked there. Nikolay N. Okulov, the first head of the college, and Petr I. Kalugin, who took up this post after him, were mechanical engineers, graduates of the Imperial Moscow Technical College. They invited a lot of graduates of well-known Russian universities to work in the college. Here is the list of famous Railways College faculty members who taught major subjects. 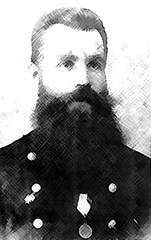 Aleksandr A. Smirnov, graduate of Empire Medical School ,worked there as a doctor. The revolution, which began in Russia in 1917 and the civil war, which followed it, did much harm to the teaching staff of the oldest educational institution in the Far East of Russia. Under these circumstances the management of the Ussury Railway made a decision to promote the Railways College to the rank of a technical college. In 1923 it was reorganized into Priamurye Polytechnical Railways College, which had two departments: mechanical (preparing technicians specializing in steam engineering) and electrotechnical (preparing technicians specializing in week and strong currents). In 1926 Priamurye Polytechnical Railways College was renamed into Khabarovsk Mechanical Railways College, but in four years it was given the name of Polytechnical Railways College which wasn’t changed until summer 1934. 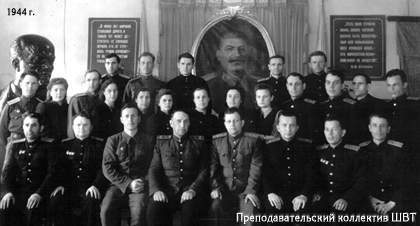 In accordance with the decree of the Committee for Labor and Defense, passed in 1934, and the order of the People’s Commissariat of Railways, the college was reorganized into the Khabarovsk Military Technicians School. With this name it existed up to 1953 and then it was given the name of Khabarovsk Railways College of the Ministry of Railways. Nowadays this oldest educational institution in the Priamurye is highly rated among the educational establishments which prepare professionally qualified specialists. It keeps and multiplies the traditions, established by senior generations of the teaching staff, employees and students at the end of the XIX century. The Khabarovsk Railways College laid the foundations of the vocational education in the region and contributed to the development of engineers training system in the Priamurye.